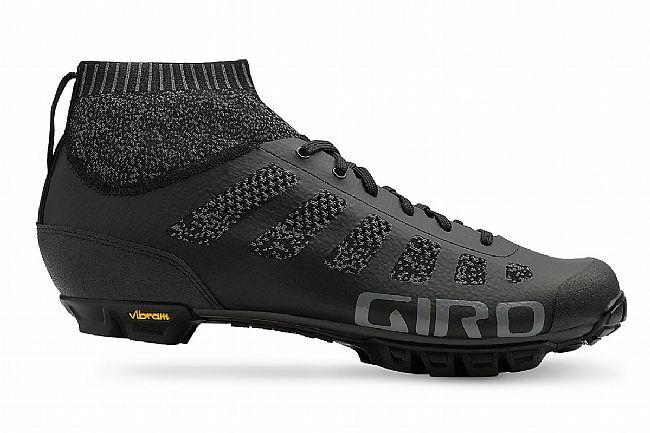 The Giro Empire™ VR70 Knit is unlike any mountain bike shoe you've ever seen. It features Giro's new engineered Xnetic™ Knit upper, which offers unparalleled comfort and breathability, with a bonded TPU exoskeletal system to provide support where it's needed most. The upper is DWR-treated for water repellency and easy cleaning, while a rubber toe guard and bonded TPU heel increase durability and abrasion resistance. 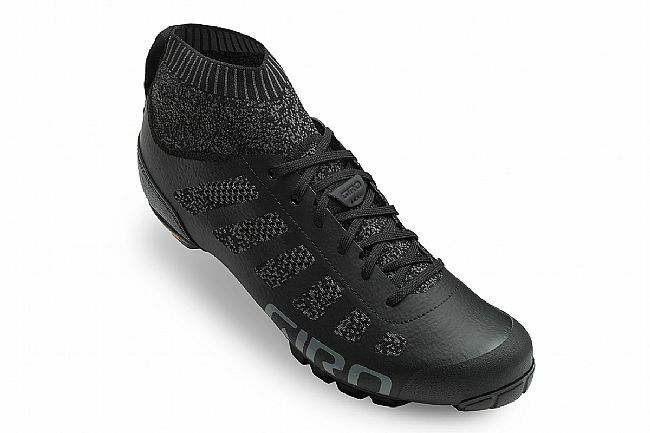 A closed stretch-knit ankle cuff provides superior comfort, additional support and protection from scree out on the trail. 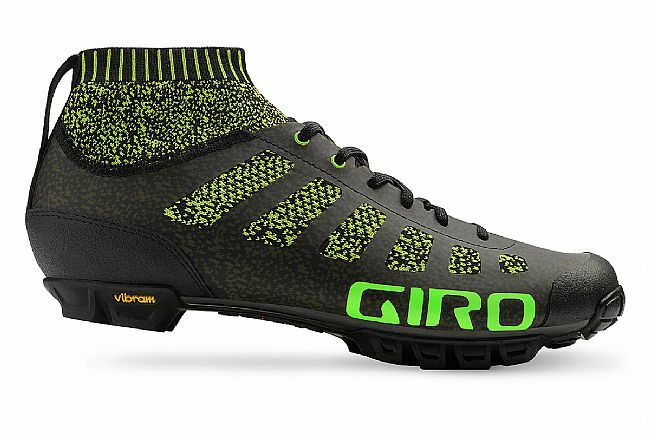 All of this is built on top of a stout Easton® EC70 carbon fiber sole that offers pro-level stiffness, and a tough, molded Vibram® rubber outsole that provides protection and grip when you're off the bike. 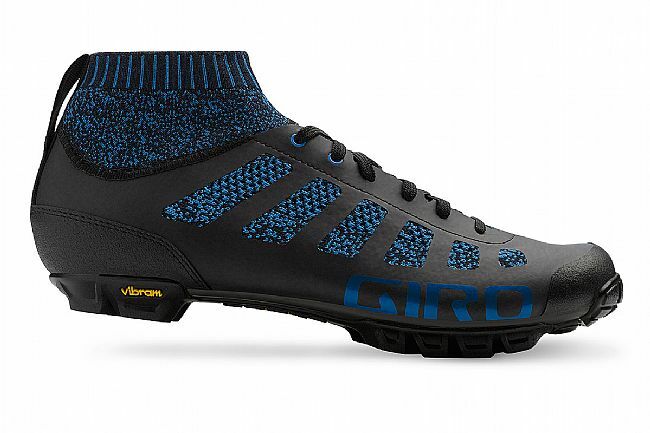 The Giro Empire VR70 Knit is compatible with 2-bolt cleats. 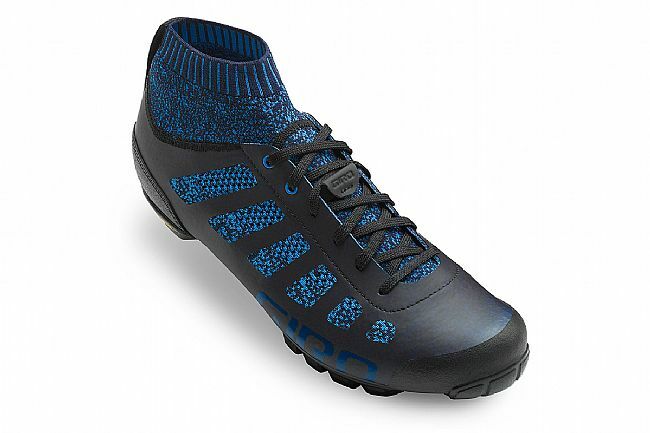 DWR-treated Xnetic™ Knit upper offers unparalleled comfort, breathability, and water resistance. Closed stretch-knit ankle cuff keeps trail debris out. Traditional lace-up closure with Empire laces. 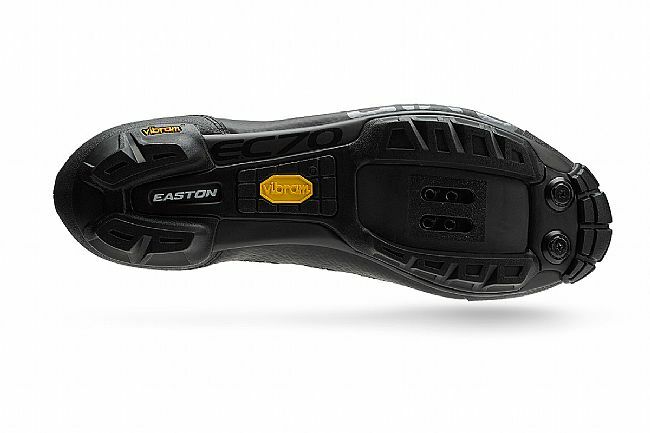 Easton® EC70 carbon fiber sole with molded Vibram® rubber outsole for optimal stiffness and traction.